All-new material from the legendary Misfits debuts with gorgeous dual-sided cover art by Rhys Cooper. “Vampire Girl” b/w “Zombie Girl” is available in your choice of special Ltd Ed CD Digipak or Ltd Ed 12-Inch vinyl in five different color editions available while supplies last. 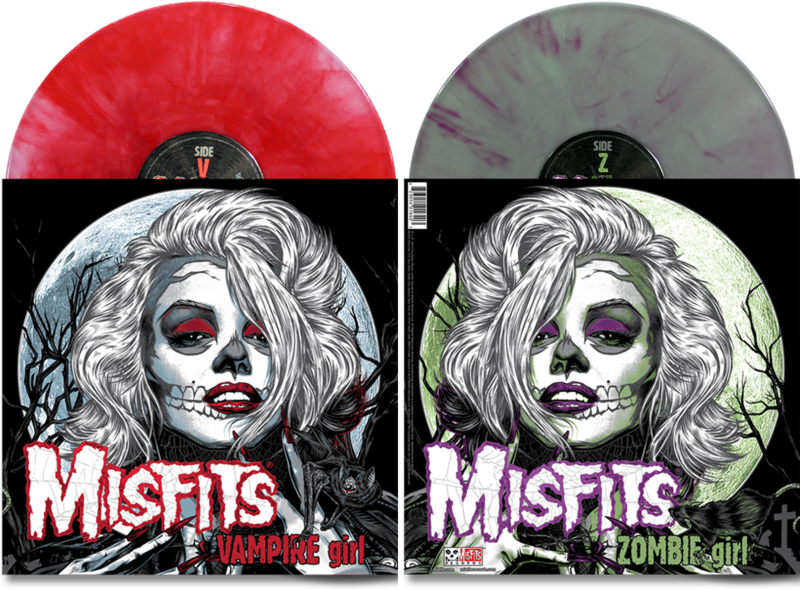 Two Misfits Records Online color exclusives were pressed: Clear vinyl with “Vampire Girl” BLUE blend with blood RED streaks (SOLD OUT) AND Clear vinyl with “Zombie Girl” GREEN blend with PURPLE streaks, (each limited to 500 pcs worldwide) These variant color pressings are available exclusively in the Misfits Records Online Store while supplies last and will not be sold in stores. 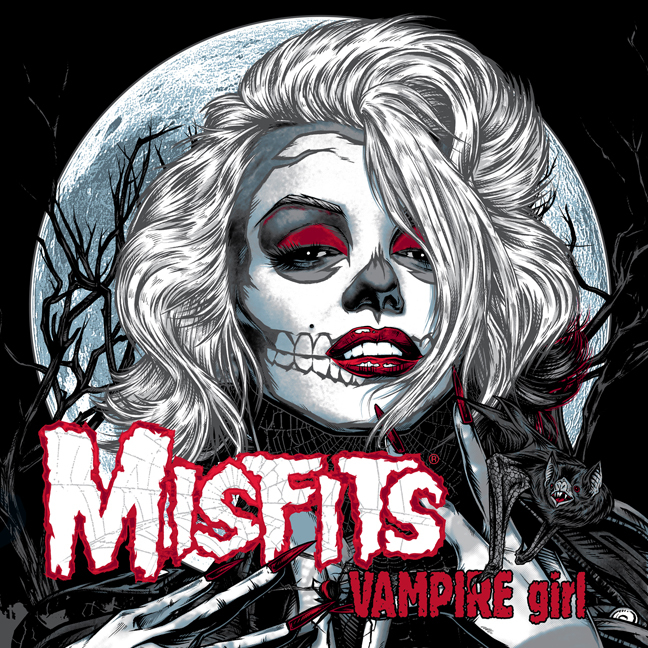 Available in record stores worldwide is a blind assortment vinyl edition of “Vampire Girl” b/w “Zombie Girl” giving fiends a 50/50 random chance at finding a Clear vinyl with BLUE blend OR Clear vinyl with GREEN blend inside, each limited to 500 pcs worldwide. 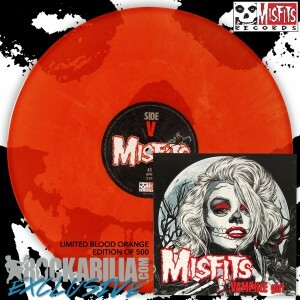 Available exclusively at Rockabilia.com “Vampire Girl” b/w “Zombie Girl” BLOOD ORANGE EDITION: Clear with blood swirled red orange vinyl blend – fully sanctioned by Misfits Records, and pressed in an edition limited to 500 copies worldwide. This color variant will not be sold in stores and is not available elsewhere. All five vinyl editions have been cut at 45RPM for optimum sound quality. “Vampire Girl” b/w “Zombie Girl” is also available in stores and online on CD Digipak, or as individual digital singles wherever digital music is offered worldwide. 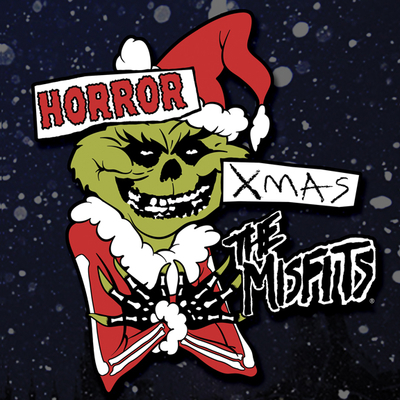 All orders for the CD Digipak placed in the Misfits & Misfits Records Online Shops shipped starting November 13, 2015 (a month before the CD was available in stores). 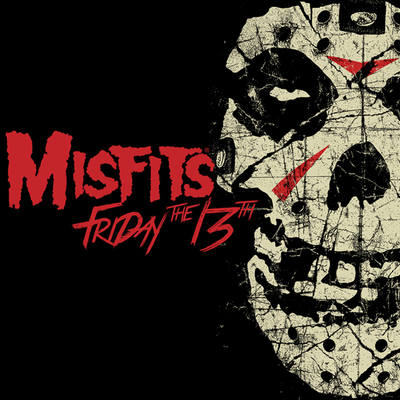 The Misfits Records Online Exclusive Vinyl Editions began shipping to Fiends as of December 17, 2015 (a Month before the retail edition of the vinyl was available in stores).